If it’s warm, rich colours you are after then our November companions are perfect for you! 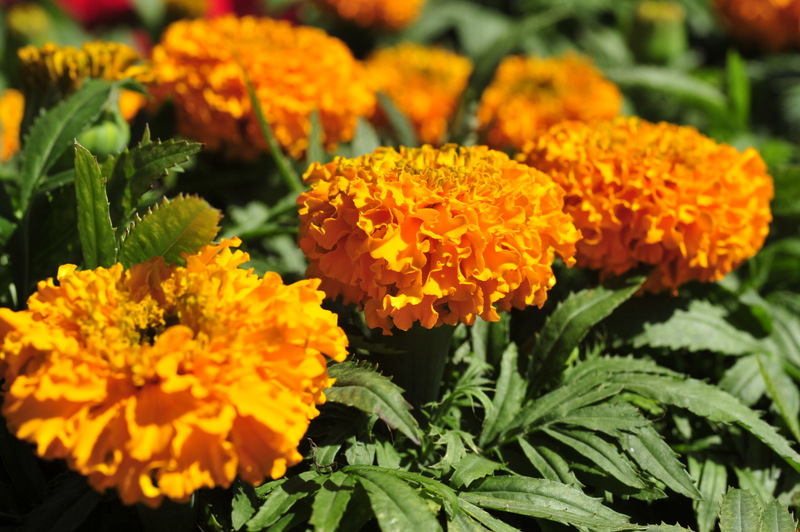 Marigolds are first up, offering their warm sunny colours for most of the year and outlasting many other annuals. Their colourful flowers come in shades of orange, yellow, red and bi-coloured, with many flower shapes and sizes to choose from. 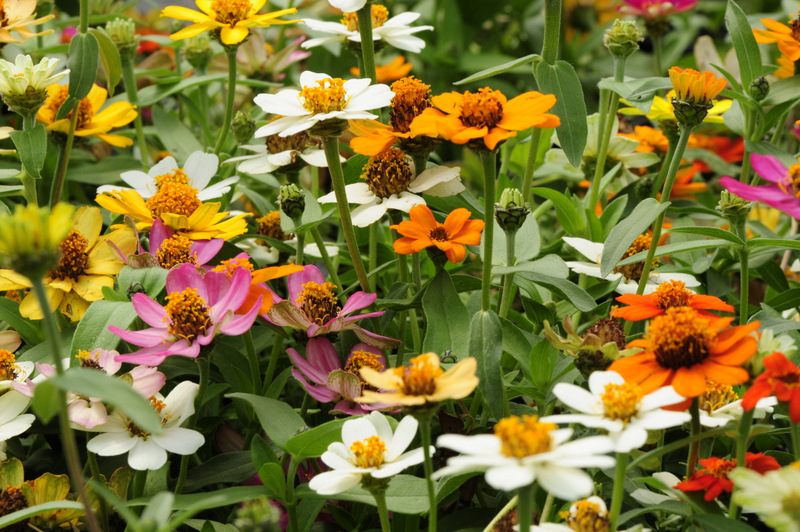 Zinnia is our other hot companion and they make for great festive colour in a garden with their upright green foliage and kaleidoscope of warm and inviting colours. You may be forgiven for thinking that surely marigolds are a bit old fashioned, because they bring back memories of your grandmother’s garden. This may have even been true some years back but they have made a big comeback in contemporary gardens. Firstly because modern hybridising techniques have yielded a wondrous array of new hybrids and secondly because of the trend towards sustainable gardening (they are pest repellents, while attracting butterflies). The modern hybrids are very uniform in growth and stay compact, making them a superb choice. Whether you have a border or edging that needs creating, a container that needs filling, a vegetable patch that needs a natural pesticide or just a dry sunny flowerbed begging for some company, marigolds can fill that gap. They also look very attractive when inter-planted with other bedding plants like salvias, purple basil or verbenas. With all this warmth in colour, remember that they also love to be planted in full sun and this hardy little annual is a favourite for many reasons but being water wise is at the top of that list so don’t over water them. Some may have you believe that they are water hungry and demanding, but this couldn’t be further from the truth. They generally thrive with minimal care and once established, only strategic watering during dry spells. When planting Marigolds, it is advisable to pinch back the stems. This will allow for more side branching which in turn will produce a sturdier plant. 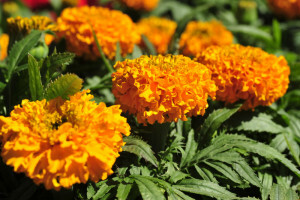 Marigolds do not require particularly fertile soil and in fact if the soil is too nutritious this will encourage foliage growth to the detriment of the flowers. Zinnias are great companions for Marigolds as they also enjoy basking in full sun and are very drought and heat tolerant. To promote a longer flowering period, deadhead spent blooms to encourage new ones to bud. 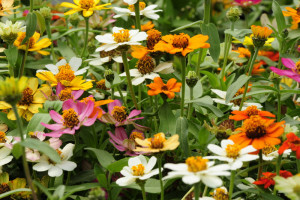 Zinnias are butterfly and bee magnets, bringing much needed life to spring gardens. They are perfect for containers or as a bold border for your garden beds. 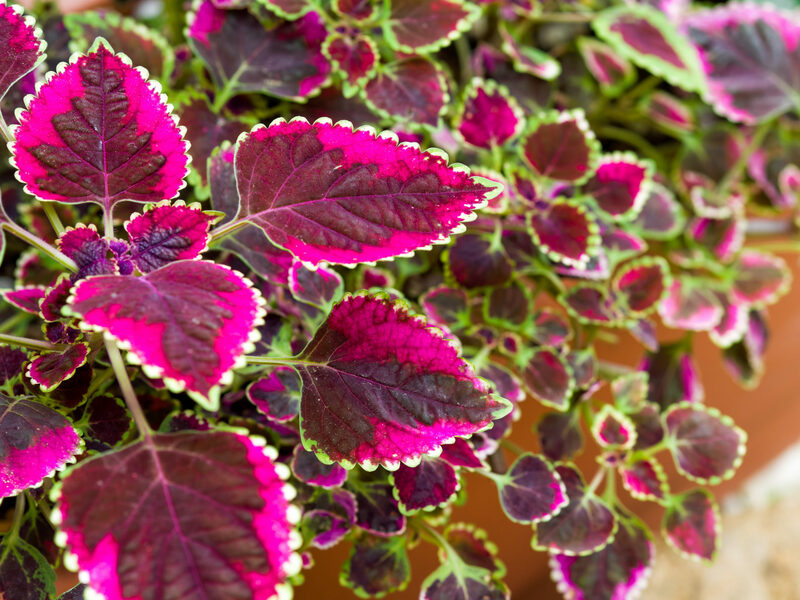 Coleus is this month’s pot choice and with common names like “Flame Nettle” and “Painted Leaf” it’s hard to supress the images conjured up in the mind of the most vibrant and colourful setting. 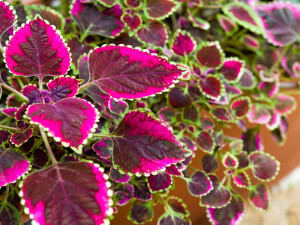 It’s all about the leaves with Coleus and boy do they steal the show! They require fertile, well-drained soil and new plants, in particular, will benefit from a little extra watering.